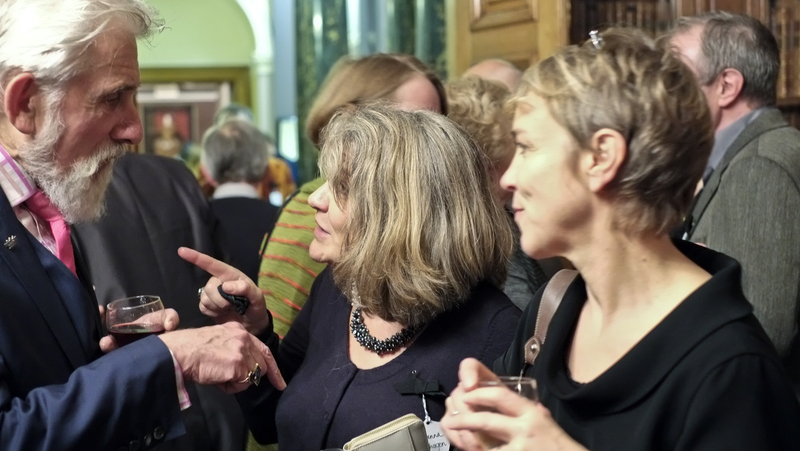 We held the official launch of the School in October 2012 at The Society of Antiquaries of London, Burlington House, Piccadilly. 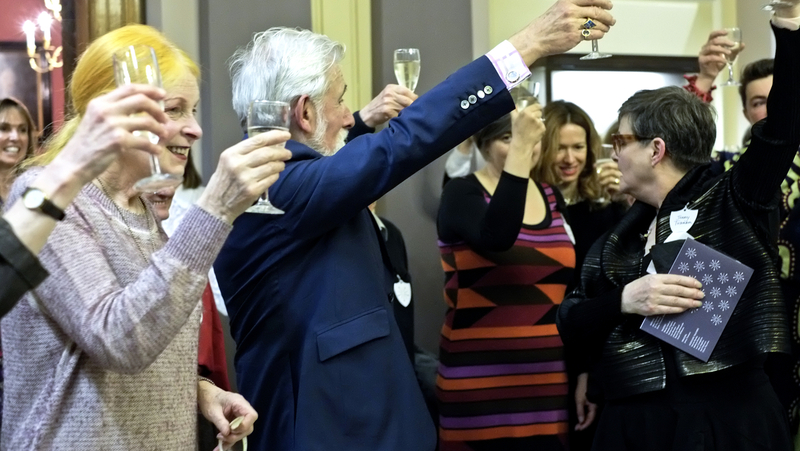 Our guests of honour were Sir Roy Strong and Dame Vivienne Westwood who both gave passionate speeches in support of the establishment of the School. 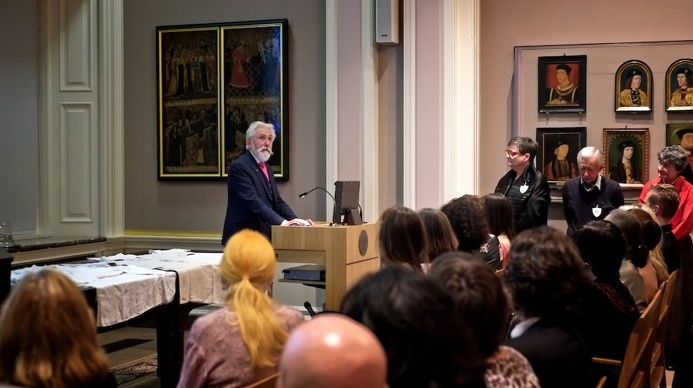 The launch was attended by costume designers and makers, museum professionals, living history interpreters and teachers from other educational institutions. Dame Vivienne Westwood with Mrs Eda MB Rose Lawson, Master Feltmaker, and husband. 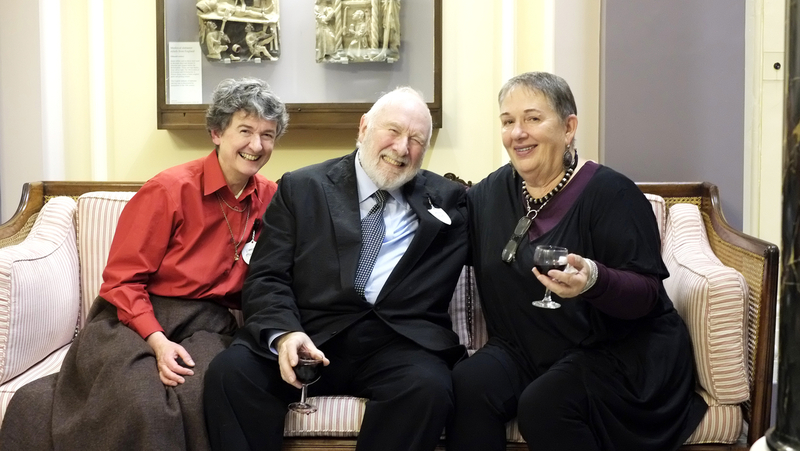 Sir Roy Strong in conversation with Joanna Hashagen, Keeper of Fashion & Textiles at the Bowes Museum, and Rosemary Harden, Fashion Museum Manager at the Fashion Museum, Bath. 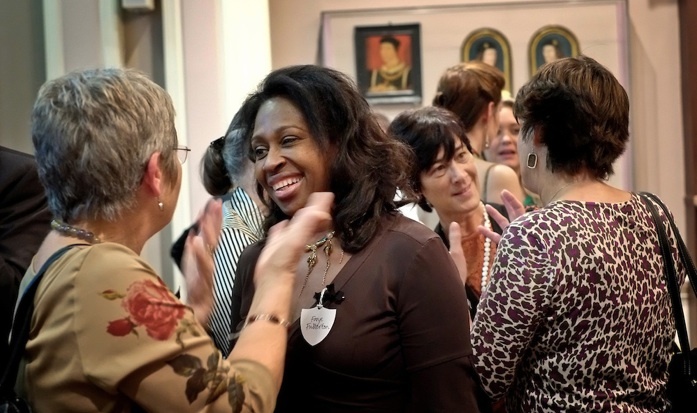 Fay Fullerton MBE, Head of Costume, Royal Opera House, Covent Garden, talking to Janet Mayo, author of ‘A History of Ecclesiastical Dress’. Vanessa Hopkins, Director and Trustee of the School, with costume designers Anthony Powell and Lindy Hemming. Sir Roy Strong giving a speech in support of the establishment of the School.